That is the motto of my work as an artist. I want my creativity to inspire young people to always reach for their dreams. My work is a celebration of the beauty and complexity of urban life. Post No Ills represents a focus on the inspirational rather than the negative aspects of the urban landscape. I want my work to be a source of aspiration throughout the world. Art is the vehicle for urban renewal. 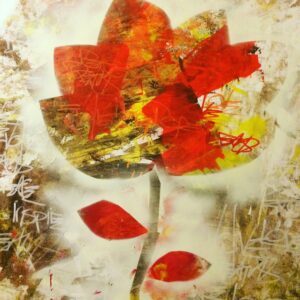 My “Flowers grow from concrete” mural series is based on the poem “A Rose that grew from concrete” by Tupac Shakur. I am committed to taking my series of flowers all over the world in communities that are often overlooked and bombarded with negative stereotypes. The idea is that no matter how tough the circumstances, a child can still blossom, shine and strive for greatness!